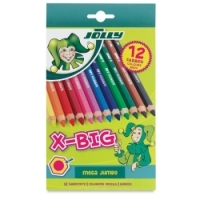 The extra-big cores (6.4 mm) in Jolly X-Big Colored Pencils offer great coverage, making it easy for little hands to make big art! 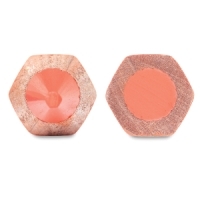 Great for developing fine motor skills in very young artists, the large pine barrels (11 mm) are sustainably harvested and contain no additives or preservatives. 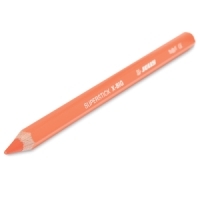 The cores are glued the entire length of the pencil to ensure the core never loosens. These sturdy pencils are virtually impossible to break! 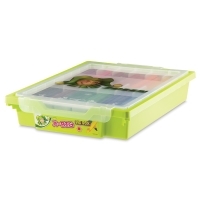 For children age two and older. Made in Austria. 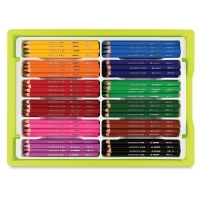 Class Pack of 180 — This set contains 15 each of 12 colors, including Light Yellow, Orange, Cherry Red, Carmine Red, Cyclamen, Pink, Light Blue, Dark Blue, Light Green, Dark Green, Medium Brown, and Black. 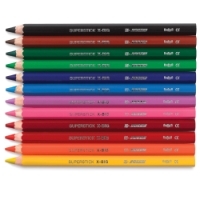 Set of 12 — The set of 12 presharpened pencils includes one each of Light Yellow, Orange, Cherry Red, Crimson, Cyclamen, Pink, Light Blue, Dark Blue, Light Green, Dark Green, Medium Brown, and Black.